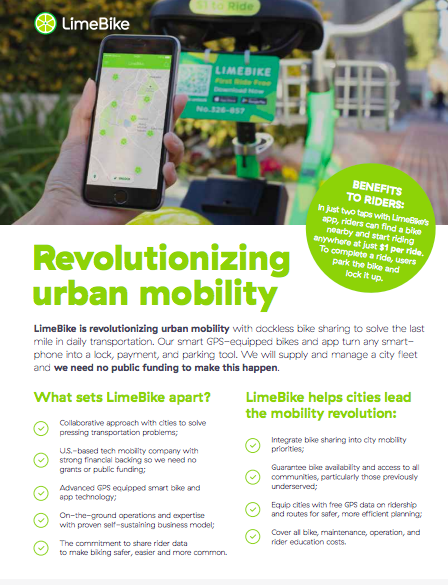 LimeBike aims to provide a sustainable solution to the first and last mile transportation problem by helping people move around their cities in an affordable and convenient way while eliminating their carbon footprint. We are here to empower future generations to change their behavior so we can save this planet together. • Pay-as-you-go: $1/30 minutes. 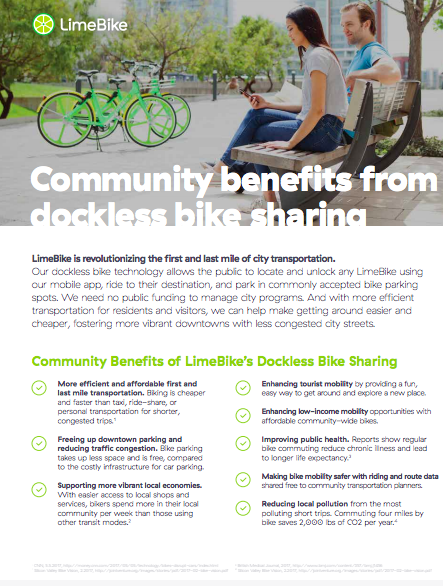 No deposits or hidden charges for failing to dock a bike or going over a time block. • Monthly membership: $30 for 100 rides. Users pay additional $0.50 for rides over 30 minutes. • Students and university-affiliated groups: 50% discount.